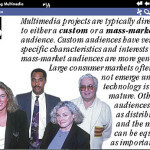 This project was a translation of the Demystifying Multimedia book into an electronic medium for giving presentations and speaking to audiences about the multimedia industry and process. 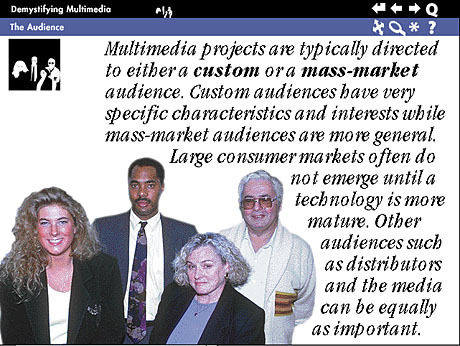 It is meant to be an adjunct to a live presentation and not a self-contained product. 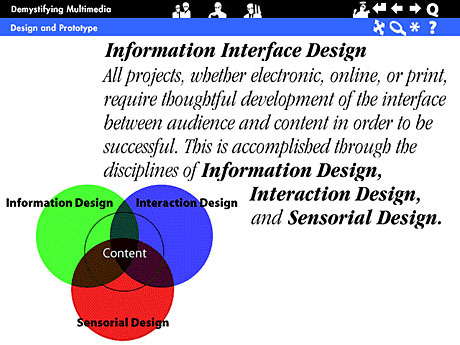 However, the interface problems solved are directly translatable to a self-contained learning experience and reference product.